Relax with a hot stone massage, revitalise with a manicure or enjoy a radiant, St Tropez spray tan. Based in Crewe, visit us with friends, family, colleagues or simply yourself and indulge in some much needed you-time. View our extensive treatment menu and choose from facials, waxing, eye treatments, manicures, pedicures, inch wraps, massages, spray tans, ear piercing, electrolysis, reflexology, holistic therapy, and much more. 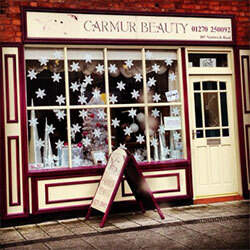 Here at Carmur Beauty, we pride ourselves on using only natural products. 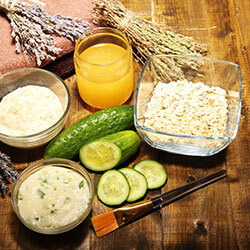 Try our nourishing spa facials, used with dead sea products. For help, advice and more information on the different treatments we offer. we will do our absolute best to help you. Take a tour around our gorgeous establishment. All our products are made from Natural ingredients.